Flavorful, super easy meal to prepare. 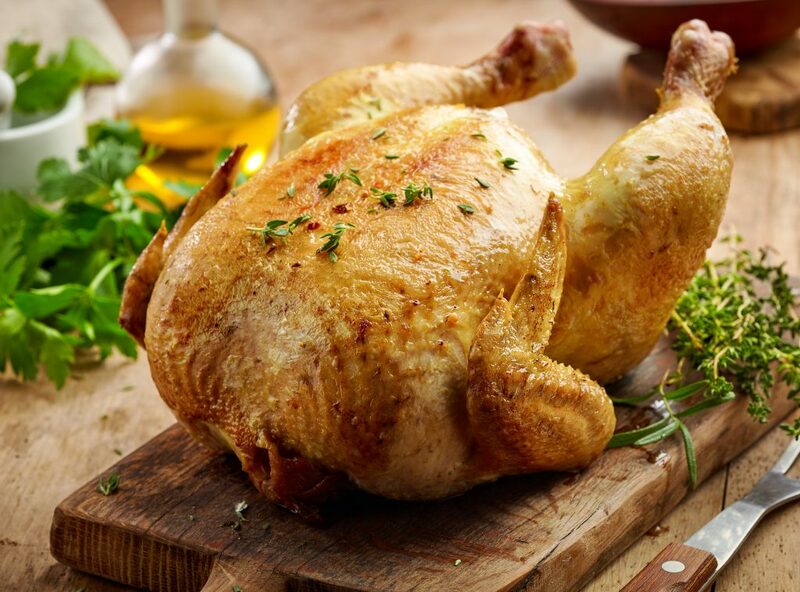 Marinate chicken with chopped lemon, mint and parsley for 1-2 hours, occasionally turning the chicken and spooning liquid and herbs over the bird and into the cavity. Preheat oven to 395° (F). Transfer chicken to a roasting pan. Massage olive oil, Italian herbs, salt, and black pepper over the chicken. Bake for about 70-75 minutes, until deep thigh temperature reaches at least 165° F with a meat thermometer. Transfer whole chicken to a cutting board and let rest for 10 minutes before carving.